A peach was about to be eaten. It was nice, juicy and hairless. 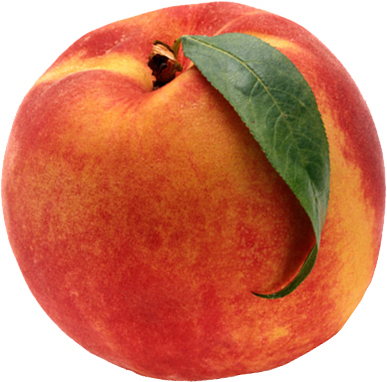 Of course, that would make it a nectarine, but it wasn't, just a special type. A taste of that fruit and you'd feel what gods felt when they ate ambrosia. Nothing so sweet and so pure as a peach. Nothing so nice you wouldn't want to eat twice.